Syllabus of the Online Course (Subject) - Eastern Catholic Churches: Ethics and Business (Christianity). Description of the Online Course: Eastern Catholic Churches. The Eastern Catholic Churches represent a small percentage of the overall Catholic Church compared to the Latin rite, which has more than 1 billion members. 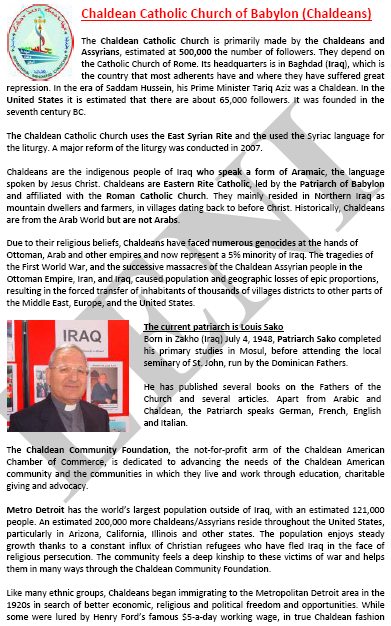 The CNEWA estimated that Syriac Christians make up 47% of the Eastern Catholics, and Byzantine Christians make up 46%. 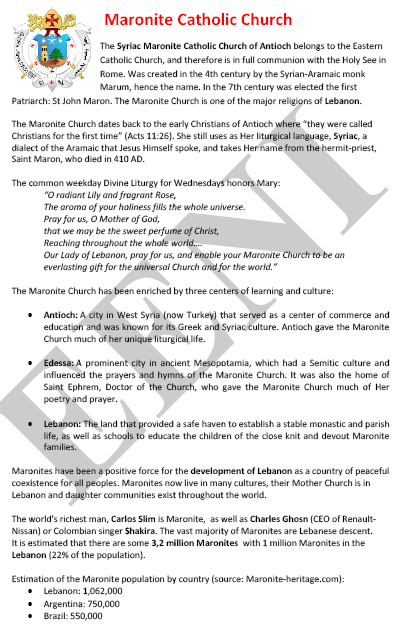 The three most important churches are the Eastern Byzantine Ukrainian Greek Catholic Church with 4.3 million (25%), the Syro-Malabar Catholic Church with 3.9 million (23%), and the Maronite Catholic Church with 3.3 million (20%). 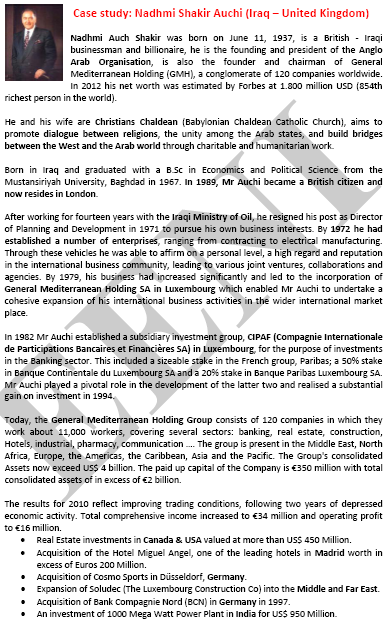 The Eastern Catholic Churches belongs to Arab Economic Area.